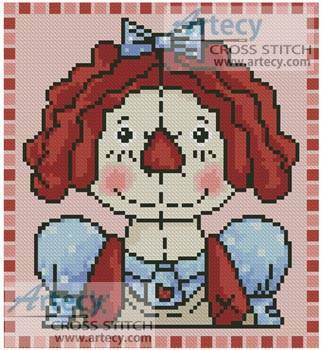 Mini Country Annie cross stitch pattern... This mini counted cross stitch pattern was created from clipart created by Whimsy Primsy. Original Image copyright of www.digiwebstudio.com Only full cross stitches are used in this pattern.